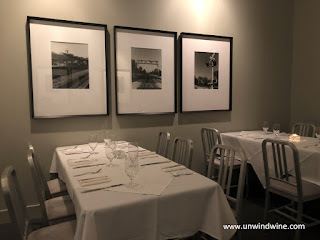 We dined at Vie Restaurant in Western Springs to celebrate several birthdays, most notably, Sean and Michelle's, and post Erin's from two weeks earlier and Linda's coming up a week later. 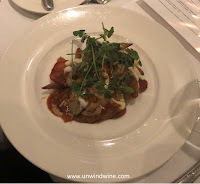 Vie were featuring their Chicago Restaurant Week Special dinner with wine pairing. 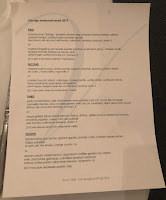 This is the second time in recent years we've dined at Vie for such an occasion that occurred during their restaurant week special. We love Vie's cozy atmosphere with its' chic, stylish, cosmopolitan, contemporary setting. 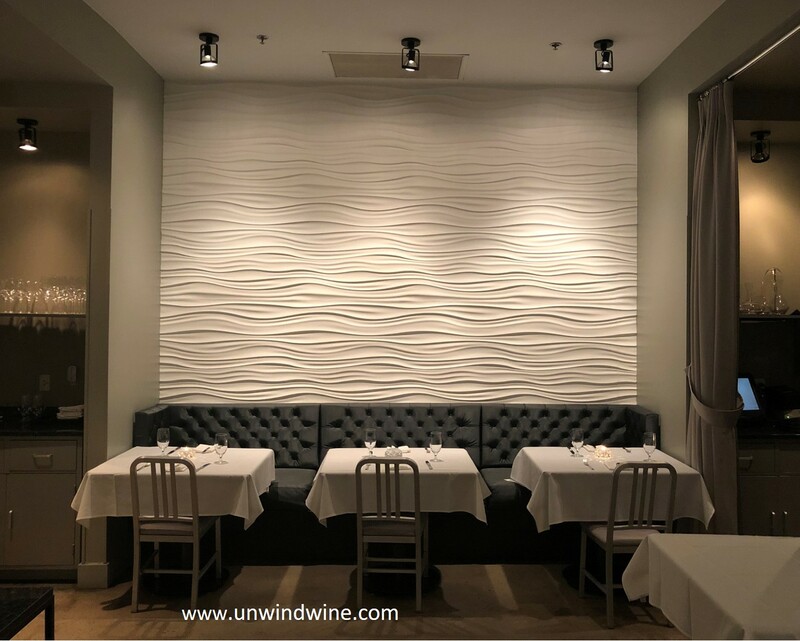 There are tables and settee's around a fireplace, dining settings surrounding the bar, progressing further inward to several interior dining areas and rooms, each artfully decorated with stylish wall coverings or black and white framed photographs. 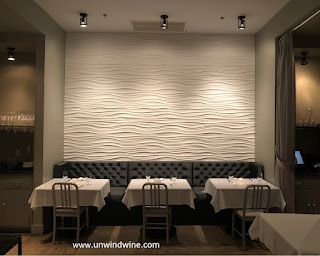 Vie normally offers a five-course and an eight-course chef's tasting menu, each available with optional wine pairings. Tonight, they offered a limited selection that regrettably failed to showcase their culinary capabilities. The last time we dined there, it was also during the Restaurant Week special feature with the same result. 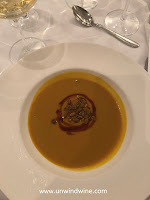 That night, they featured two of the four courses with the same profile of a heavy emphasis on smoked pork. This night the limited menu selection featured some strange flavor pairings where the quest for elegance or imagination seemed to miss the mark and resulted in dishes that were lackluster and uninspiring. My first course was crunchy rice 'tahdig', braised chicken leg and smoked chicken breast, saffron, roasted turnips, and pickled baby summer squash. As with our previous experience, smoke was the featured and most predominant flavor. The 'tahdig' was crunchy but flavorless, an uninspiring start to our dinner flight. 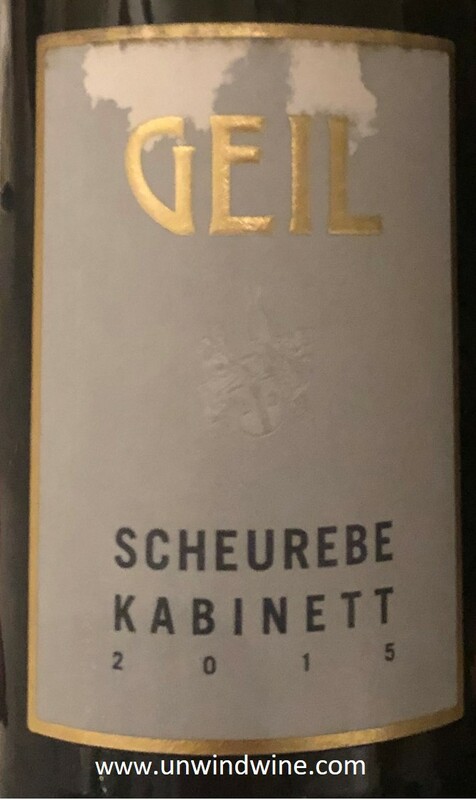 The course was appropriately paired with 2015 Johann Geil Bechtheimer Heilig-Kreuz Scheurebe Rheinhessen Kabinett. The highlight of my course selection was the roasted carrot soup with the cherry bomb pepper and caramel, an explosion of a trio of competing flavors, accented by textures of spiced pumpkin seeds which was a bit annoying. This was an interesting combination of dueling contrasting flavors - the sweet caramel and the spicy cherry bomb pepper. To my taste, the pumpkin seeds pushed it over the top. 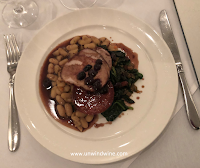 Once again, as with our earlier visit, pork loin was the feature, this time complemented with cannellini beans and slow cooked greens. The highlight of the course was an andouille sausage which actually outshone the pork in flavor and pairings. 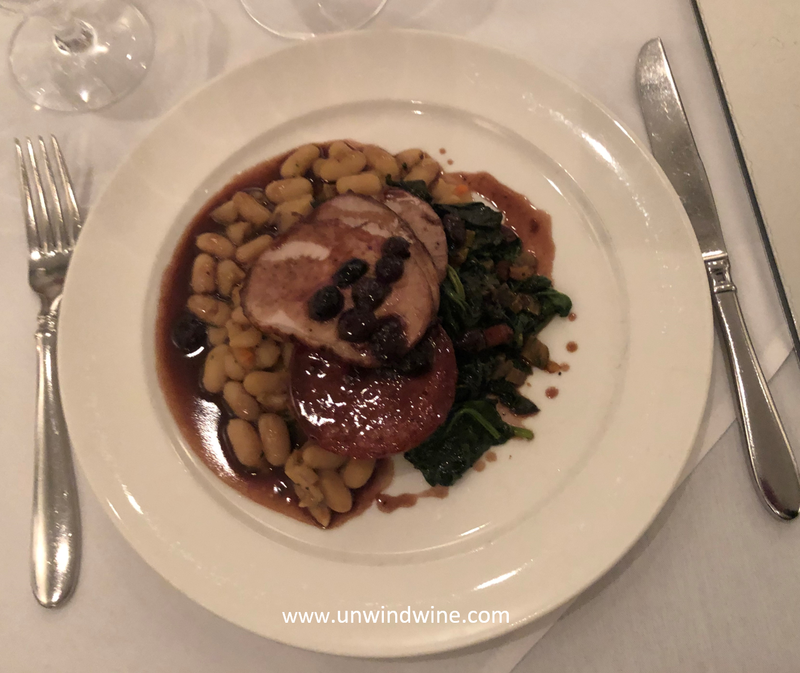 There was also listed a blueberry aigre doux pork sauce which might have been a savior but I don't recall it being apparent or having an impact. 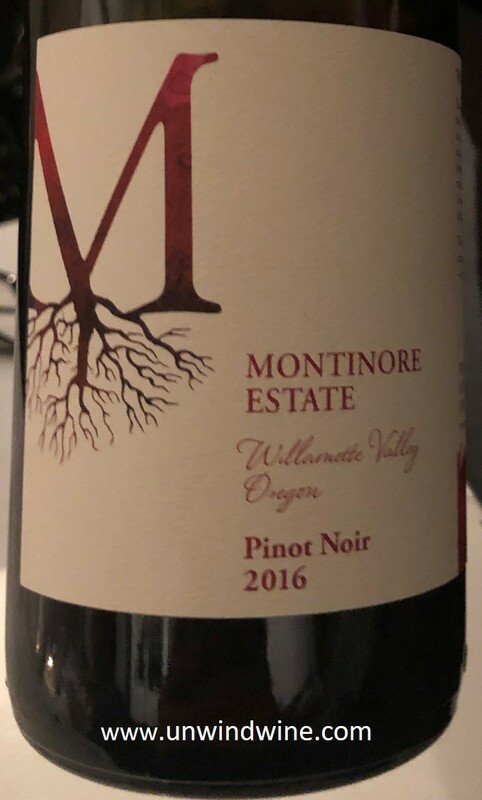 This course was paired with 2015 Montinore Estate Pinot Noir from Oregon's Willamette Valley, a thoughtful and appropriate pairing selection. 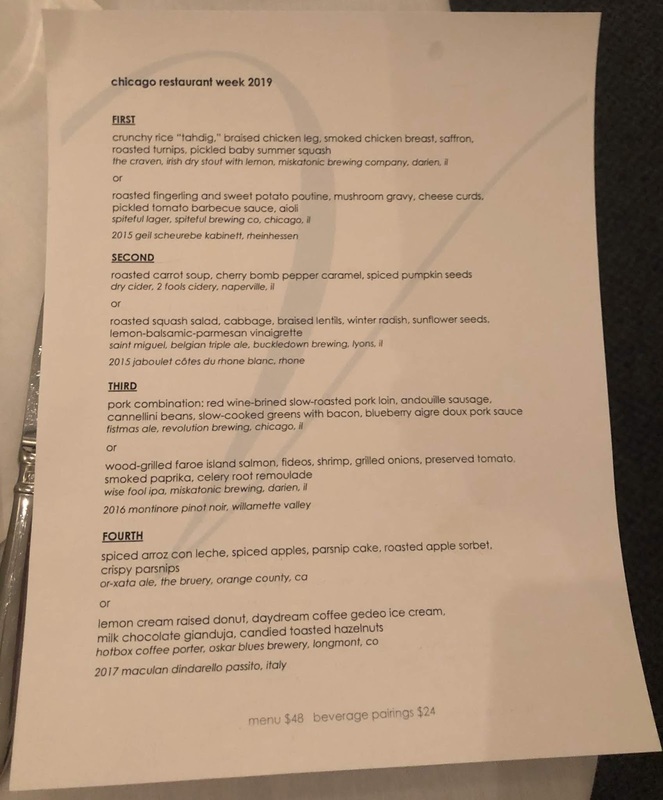 Apparently, it is hard to showcase their culinary artwork at a reduced price point that is the Restaurant Week feature. This is unfortunate because we love the atmosphere and independent upscale fine dining experience with the talent and professionalism that Vie offers, that is so needed in the near west suburbs. 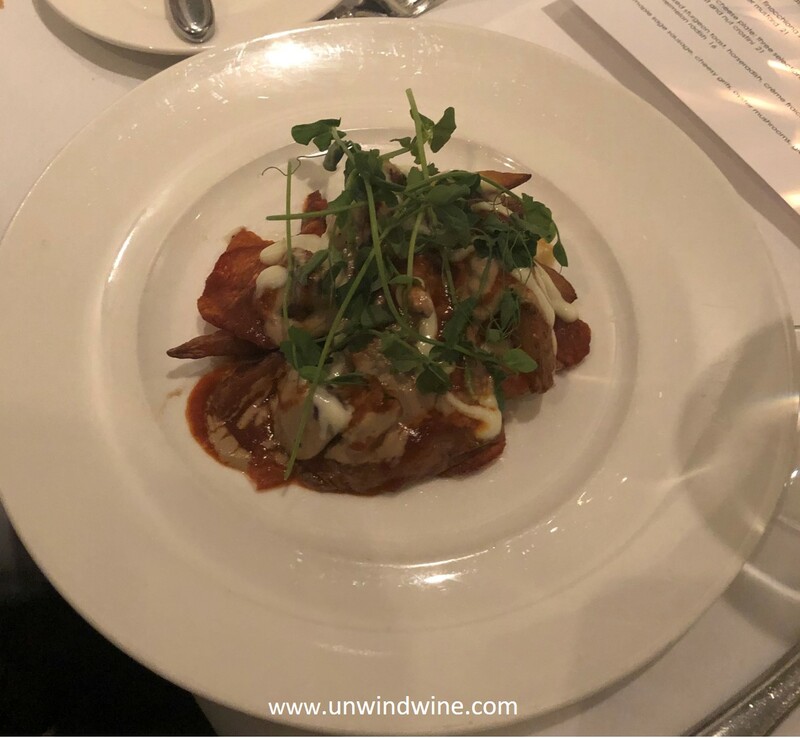 The highlight of the course was the thoughtful wine selection to accompany the course - 2017 Maculan Moscato Dindarello Passito from Italy. Its easy to select wines to pair with food when you have a budget to choose $50 wines. Its a challenge to select and offer appropriate wine pairings when you're offering sub twenty dollar wines. 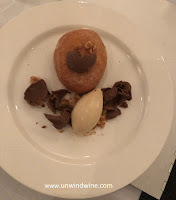 Vie did a commendable job offering interesting and acceptable wines to pair with each course.